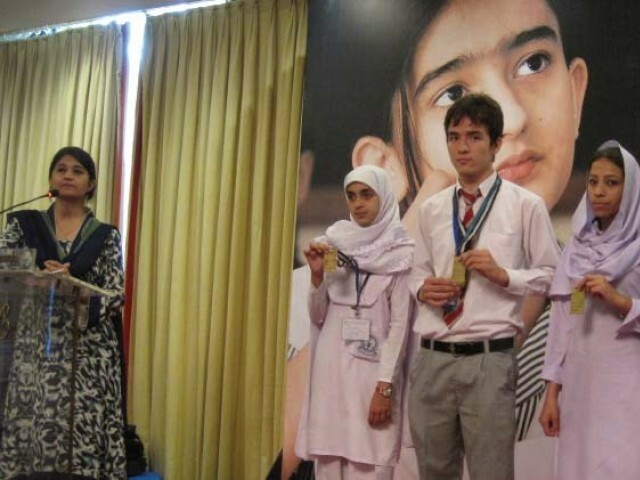 KARACHI: Two Pakistani students have won third position after competing with more than 1,500 students from 52 nations at the world’s largest pre-college scientific research event. Mehwish Ghafoor and Ambreen Bibi won third place in the field of environmental sciences at the Intel International Science and Engineering Fair which concluded in Los Angeles on Thursday. The research project titled “Degradation of Environment Pollutant with Nano-composites” talks about a method to make polluted water drinkable. Pakistani students are always taught about anti India syllabus. Bt they can never get forward to India. Jai Hind!! Agree wholeheartedly. Seriously, trying to find differences among each other is too easy. Look for stuff thats common; for instance, we’re all the same species of human. Not really that complicated, is it.